In today’s society, where acceptance doesn’t always come easy. Bully’s hiding behind keyboards, will attack anyone or anything not comfortable to them, make it difficult to always see the GREAT in ourselves. Stop! Be happy with who YOU are. Understand you are unique. It’s OK if you are different from the average. Once you accept who you are, others will as well. Laugh at your differences. Love your uniqueness. If you meet others who are different than you, embrace them. My general rule of thumb is; as long as they don’t bring harm to children, animals, or other people, I can accept them. Acceptance isn’t the same as liking the person. You don’t have to like someone to accept them. You don’t have to be everyone’s friend. You should, however, accept yourself and like yourself! Try it. You’ll be surprised how much easier it is for others to accept and like you as well! 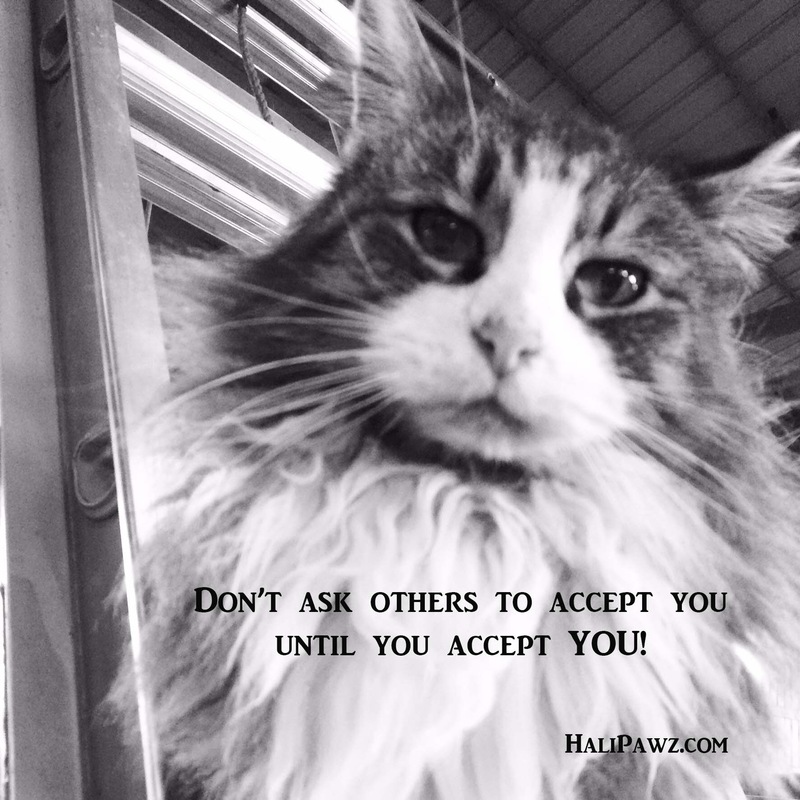 This entry was posted in HaliPawz Memes, Making a difference, Making an impact, My Day to Day Craziness, Rambling Thoughts to make you think and tagged acceptance of others, acceptance of self, be unique, embracing differences., liking others, liking yourself, unique. Thank you! Sometimes easier to say than to believe. I think the more it is said, the more encouragement, the more others will truly start to believe it.